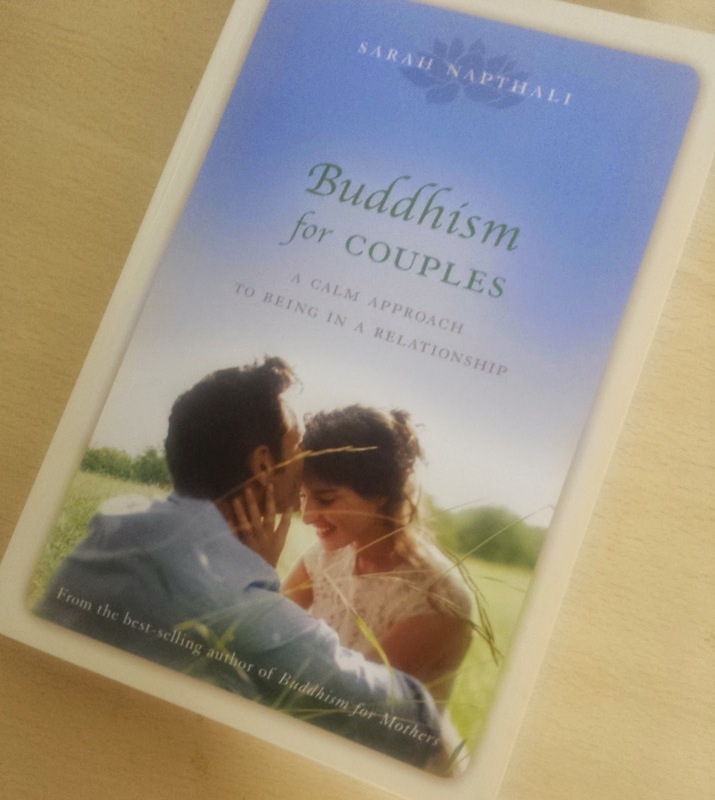 Buddhism for Couples follows Sarah Napthali’s bestselling, internationally acclaimed Buddhism for Mothers series. It is a beautifully bound book that presents with a relaxing and inviting feel. The cover resonates love, affection and understanding for each other as not only individuals but part of a couple. I am not part of a couple and I am not Buddhist, so why, I hear you ask, am I reviewing a book titled Buddhism for Couples. I have been a couple, having had three children as part of this union. Within Buddhism for Couples I was able to relive my relationship and seek guidance for any future relationships. I suppose I was hoping to find where I went wrong and learn a few lessons. What I did find was a book that made me feel normal and not the failure at relationships that I thought I was. Sarah Napthali uses her own relationship struggles and achievements to help you make sense of your own. She talks of the reality of the differences between men and women and the work that a relationship takes to keep the negativity at bay and the love alive. What I found within Buddhism for Couples was page after page of interesting information that made me laugh, cry and relate. Buddhism for Couples looks at the similarities, differences and skills that both members of a couple bring to the table. It was refreshing to read a relationship book that spoke to me with love and understanding and did not dictate. I felt as though Sarah Napthali was sitting on the lounge opposite me listening to my relationship woes, offering me some friendly advice whilst we laughed together. Buddhism for Couples was the touch of a female friend that I needed. Buddhism for Couples is a practical book. I found a sense of calm and acceptance within its pages. It is not about Buddhism as a religion but about unity, mindfulness, communication and the understanding of each other as loving living human beings. The advice and skills you take from Buddhism for Couples can be used in many of your life experiences, making this a practical book of self-awareness. This is the first book by Sarah Napthali that I have read. As a mother I would say that Buddhism for Couples has sparked my interest in the Buddhism for Mothers series. If you are seeking a relationship book that is easy to read, refreshing and light hearted then Buddhism for Couples is the one for you.